“I was afraid we would just have to lay people off, and how would that help the economy of this city if people can't buy groceries? 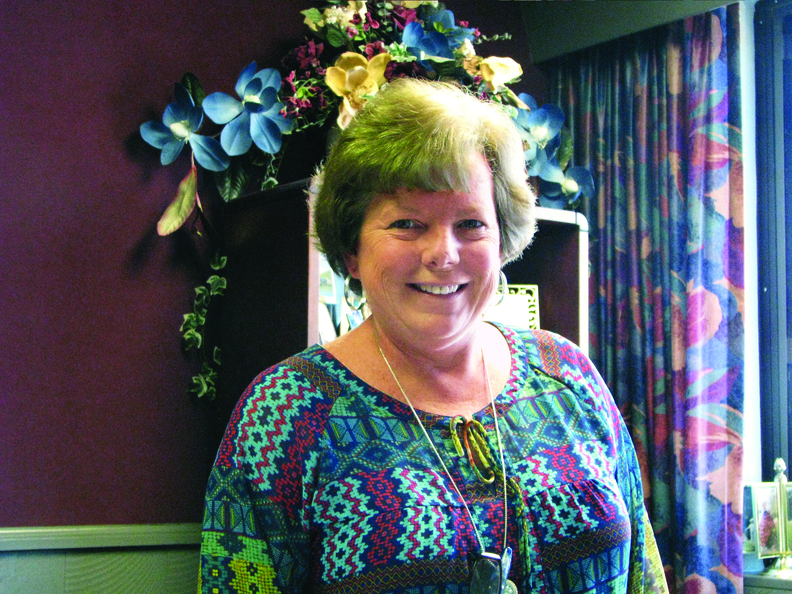 But we have satisfied the needs of the hospital without hurting anyone,” said Stace Holland, CEO of Pineville Community Hospital. 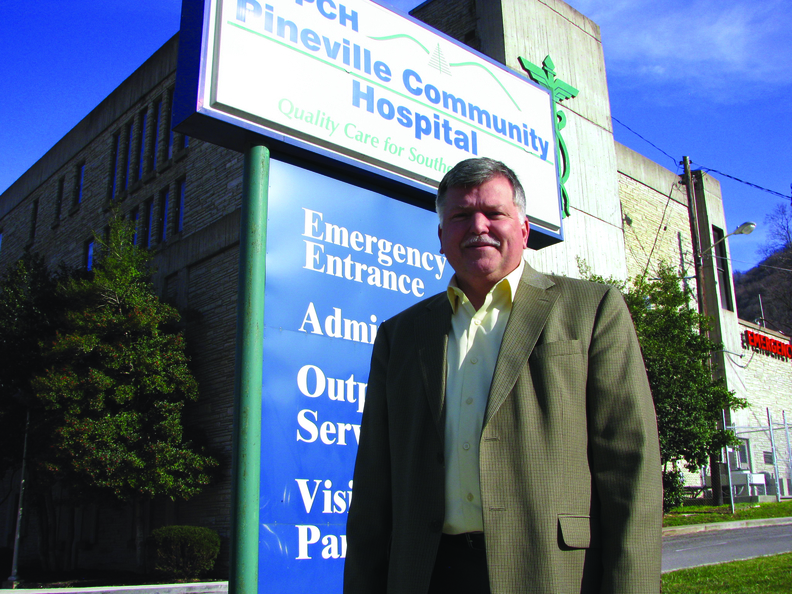 PINEVILLE, Ky. — Stace Holland started hunting for ways to slash unnecessary costs the minute he took over an endangered rural hospital that was losing $6 million a year. It didn't take long for him to find plenty. He persuaded the dietary contractor to reduce fees by $15,000 a month. He switched emergency medicine contractors to save $200,000 a year. And he persuaded some full-time employees to drop to 32 hours a week, yielding cost savings equal to cutting 15 FTEs. Now, eight months after taking over as CEO of the 120-bed Pineville Community Hospital in an economically depressed town of about 1,800 in scenic southeastern Kentucky, Holland is well on the way to turning around a struggling not-for-profit facility that still expects to lose $3 million this year. With support from the Plano, Texas-based Community Hospital Corp., which took over management of the hospital in 2014, Holland already has made significant progress toward stabilizing its finances. Holland faced a challenge that is all too familiar to rural hospital leaders around the country: declining patient volumes; a preponderance of low-paying Medicare, Medicaid and uninsured patients; public and private rate squeezes; high incidence of chronic disease and drug abuse; difficulty in recruiting physicians; and a shortage of funds to invest in new equipment and services. Kentucky's successful expansion of Medicaid and private insurance under the Affordable Care Act eased those financial pressures, but didn't eliminate them. To save the hospital, whose previous CEO served nearly 40 years, Holland, Chief Nursing Officer Dinah Jarvis, and CHC knew they had to take tough steps that would unsettle physicians, staffers and local residents accustomed to the old comfortable ways. They trimmed costs, established a partnership with a larger hospital to offer new services, implemented clinical protocols to improve quality of care and reduce readmissions, and obtained a federal rural health facility license that significantly boosted Medicare and Medicaid payments. Holland never expected to land in this poor Appalachian community. Early last year, the veteran rural hospital administrator heard Community Hospital Corp. CEO Mike Williams speak about his not-for-profit organization's mission to preserve access to healthcare in rural America. Impressed, Holland told Williams he wanted to work for his company, which advises and manages rural hospitals. With a willingness to make tough changes, many but not all rural hospitals can survive to continue serving their communities, said CHC's Williams, whose organization offers strategic assessments, consulting and management services to rural facilities. CHC advises some facilities they can achieve financial solvency through fine-tuning operations. For others, it may recommend shifting to an urgent-care and outpatient model. CHC often urges collaborations with larger systems. But Williams and his team sometimes have to deliver the bad news that there's no alternative to closing a hospital. A new CEO puts a rural hospital on the road to recovery by cutting costs, bringing in more federal funds and getting staffers to change their ways. “Many hospitals are such a backbone of their small communities that people don't even want to think about closure,” he said. “But when you come in with facts rather than base decisions on emotions, it's surprising what people will do.” Some tax-averse counties will even consider a new sales tax to finance hospital operations, he added. In Pineville, Holland's top challenge is to compete effectively with several Appalachian Regional Healthcare facilities in surrounding towns. Patient volume plummeted over the previous three years, leaving one 38-bed wing empty. He's already gotten merger feelers from the Appalachian Regional system, which he rebuffed. He and CHC instead moved to establish clinical partnerships with Baptist Health's hospital in Corbin, Ky., which provides telepsychiatry support for Pineville's new 12-bed geriatric psychiatry unit. That program already is operating near capacity. Another priority task for Holland and CNO Jarvis is to improve the hospital's quality performance. Pineville was hit with the maximum Medicare penalty for excessive 30-day readmissions in 2013 and 2014. Holland said the hospital has reduced its readmission rate from nearly 32% in September 2013 to 6% now and will be in compliance this year. Jarvis said the key to reducing readmissions has been better pre-discharge education of congestive heart failure patients about medication use and weight monitoring. They've also taken steps to ensure follow-up medical visits and home healthcare, including a phone support system. Because of these efforts, the hospital's projected forecast from Medicare is a $180,000 bonus for its 2017-18 fiscal year for its improved performance on value-based purchasing and quality measures, she said. On the revenue side, the hospital's outpatient clinic, with CHC's help, just received rural health facility status from the federal government, which will hike Medicare and Medicaid payments by more than $3 million a year. “It's fantastic, it takes the hospital out of the negative and creates a positive cash flow for 2017,” Holland said. He also touted 7% growth in inpatient volume since last June. That was achieved through more aggressive marketing and promotion of the hospital's services and medical staff, Jarvis said. Pineville opened as a secular not-for-profit in 1938. While it's licensed for 120 acute-care beds, it's currently staffed for only 30. The hospital also has a 30-bed skilled-nursing unit, which has 26 staffers. The key to reducing readmissions has been better pre-discharge education of congestive heart failure patients about medication use and weight monitoring, according to Chief Nursing Officer Dinah Jarvis. CHC signed a management agreement with the hospital board in October 2014, at a time when the hospital's future looked shaky. Under that deal, the company charges the hospital $25,000 a month for a broad range of business and consulting services, plus the hospital covers Holland's and Jarvis' salaries. “CHC hopes I do such a great job that they don't have to do anything and they can pocket $300,000 a year as pure profit,” Holland said. But there's a tough fight ahead if the facility is going to become viable for the long term. In Kentucky, one-third of the 65 rural hospitals—which serve 45% of the state's residents—are in poor financial health. More than a dozen are at risk of closure, according to a 2015 report by the state auditor's office. Two rural facilities recently stopped serving inpatients, according to the Kentucky Hospital Association. At Pineville, as at other hospitals where it provides management and consulting, CHC started by analyzing and streamlining operational productivity, revenue-cycle efficiency, supply-chain costs and information technology systems. Williams said supply chain is where CHC finds the most low-hanging fruit, because many stand-alone rural hospitals can't negotiate the most favorable deals with group purchasing organizations. Local leaders see the Pineville hospital's survival as pivotal to the future of the town and Bell County, which has no other hospital and has lost many coal-mining jobs. They say the hospital, the city's largest employer, is key to their economic redevelopment efforts, which include a planned 750-acre wildlife park for elk watching. At the same time, Pineville and other Kentucky hospitals are bracing for changes in the state's expanded Medicaid program. Republican Gov. Matt Bevin has promised to add patient cost-sharing features to Democratic predecessor Steve Beshear's expansion program for low-income adults. While Bevin hasn't yet offered details of his plan, it could reduce the number of patients who qualify for coverage and increase the administrative burden on providers. “Providers understand that most of these people don't have money for copays, and it will cost them more money to collect those copays than they'll receive in payment,” said Beshear, who's leading a campaign to block Bevin's planned changes. Besides the policy uncertainties, Holland faces a pressing need to recruit new doctors, since the hospital has only six full-time physicians on staff. Most are nearing retirement. It's hard to recruit doctors to a poor community riddled with chronic health conditions and drug abuse. Pineville's primary-care physicians agree that it's hard to arrange specialty care for their patients, particularly for those who are uninsured or on Medicaid. “We need more doctors here,” said Dr. Martha Combs-Woolum, an internist employed by the hospital whose 90-year-old mother still races around waiting tables at the local cafe. Many patients drive 120 miles north to Lexington or 85 miles south to Knoxville for specialty care. Some relief is on the way, however. Holland recently signed a cardiologist from Corbin to work at the hospital two days a week. Next he's looking to add an orthopedist and a radiologist. In addition, Mountain Comprehensive Health has plans to hire an OB-GYN and a pediatrician. Beyond that, Holland and Jarvis hope that the osteopathic medical school that opened in 2007 at Lincoln Memorial University, 15 miles south just across the Tennessee state line, will provide a supply of new doctors who want to practice locally. “I had a hard time finding a doctor. They would turn me away because they said (Medicaid) only paid them $25. 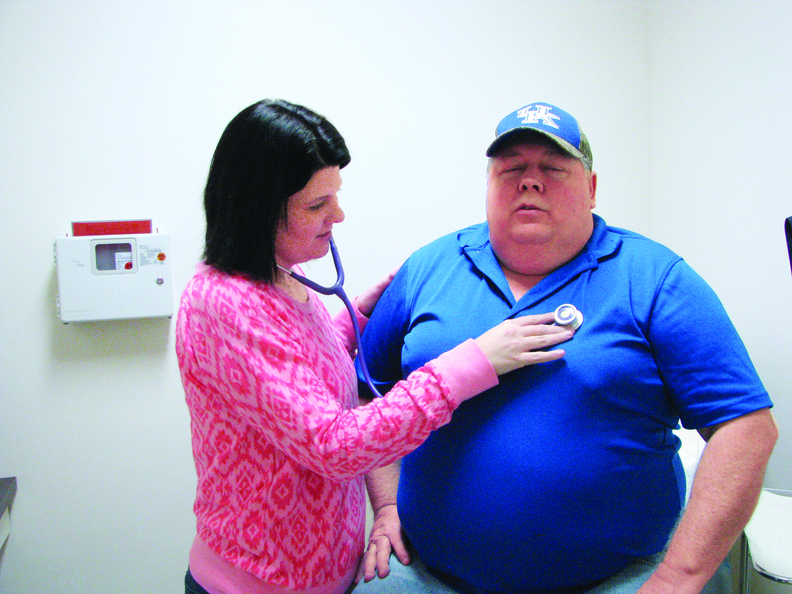 If money is all they're worried about, that's not right,” said Orville Hobbs (with nurse practitioner Misty Turner). CHC's Williams said urban hospitals sometimes are willing to partner with rural facilities such as Pineville to send their surgical specialists for short-term rotations. Meanwhile, some of the older Pineville doctors are growing restive. Passing Jarvis in a stairwell at the hospital, internist Dr. Steven Morgan stops to vent about some of the changes being asked of him. “They want to pound square pegs into round holes,” said Morgan, who's 67 and is employed by KentuckyOne Health. Later, after Morgan leaves, Jarvis explains that she's been working with him on doing more consistent discharge planning with his heart failure patients, in order to meet Medicare metrics for scheduling follow-up visits and reduce readmissions. “We have an older medical staff and they are set in their ways,” she said.